It's been too long since my last post, the busyness of Ben and myself meaning TFHB has perhaps been a little neglected recently. However, our eyes have certainly not been taken away from football and the remarkable season that 2015/16 is turning out to be in the Premier League. Chelsea's miserable defence of the title leading to the sacking of Jose Mourinho but perhaps the most shocking thing has been Leicester City's dominance of the season. The Foxes topped the league on Christmas Day so we thought we should take a look at the club's history. Leicester were established in 1884 as Leicester Fosse, the club website showing a house on Fosse Road were in a shed in the garden, the club was born. The original people of the Leicester Fosse team were a group of Bible study members who attended the a church called Emmanuel Chapel in New Park Street. The club's first ever match was a 5-0 victory over local side Syston Fosse on 1st November 1884. The club then began to use Victoria Park as it's home, taking advantage of the Victorian grandstand that was sadly demolished after being damaged by German bombing in the Second World War. During this time it is possible to find some articles about the club on the British Newspaper Archive. One such example is the earliest I uncovered from 31 October 1885, the Leicester Chronicle recording a 1-1 draw at Victoria Park with Market Harborough's second eleven. Leicester Fosse were not in a league initially but still played regular friendlies and the club website has a picture of the team in their first ever kit. Those first few years were nomadic for the Fosse, playing in five different grounds before finding a permanent home. They thought they were sorted when they moved into Belgrave Road Cycle and Cricket Ground but just a year later the Leicester Tigers rugby team outbid them and the club returned to Victoria Park. They then spent time at Mill Lane but that was bought for development purposes so Aylestone Road Cricket Ground was used before finally landing a ground of their own. Filbert Street was identified and over the summer of 1891 the original one ramshackle stand and three earth banks were prepared. 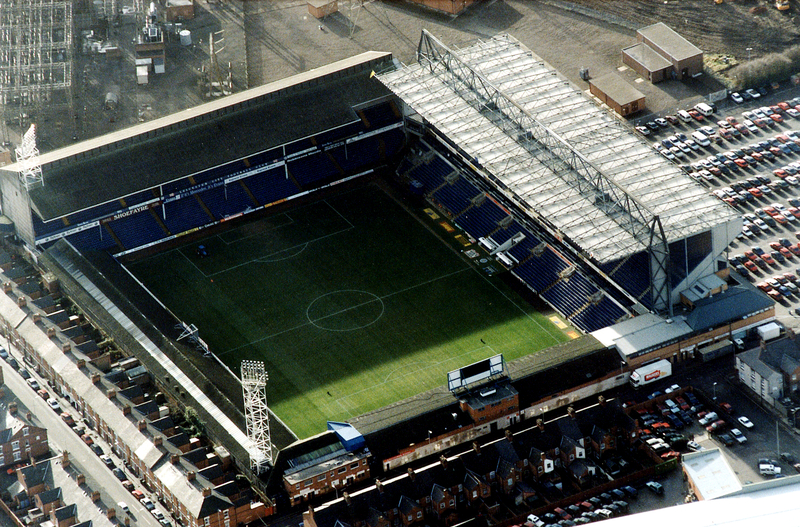 Filbert Street would become the location of The Foxes until 2002. The first recorded entry into the FA Cup for Fosse was in 1890, the debutantes losing 4-0 to Burton Wanderers. After being accepted by the Football Association that year, Fosse began life in the Midland League in 1891. Attendances for the period were between 2000-4000 fans and with 19 professionals on their books, Leicester Fosse were elected into Division Two in 1894. Their first campaign in the Football League was an impressive one, the newcomers finishing 4th, behind Division winners Bury. 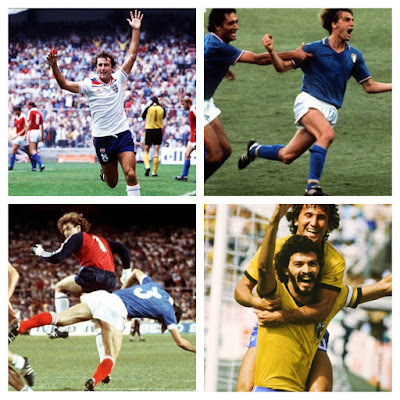 Football, as it is today, was not a business major profits were made from. In 1897 the committee at Leicester found themselves struggling to pay the bills and a Board of Directors was appointed, turning the club into a Limited Company. Success was difficult to come by for Fosse, finishing bottom of the Football League in 1904, forcing them to fight for re-election. However in 1907/08, Fosse won promotion to the First Division for the first time, captained by Billy Bannister. Bannister was a former coal miner and the defender played 149 league matches for Leicester after moving from Arsenal in 1904. Fosse came straight back down though a year later but with crowds of over 13,000, the club was firmly established. The 1910s were really tough for Fosse, financial scandal hitting the club, seeing them suspended by Football League. The Great War also would hurt football in terms of both reputation and personnel. The former because football did not cease immediately upon the announcement of war and the later because of the numbers of players killed. Leicester Fosse saw 50 of their players sign up for war, 12 of them would die at battle or due to their injuries. 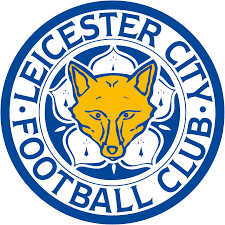 Following the horrors of Leicester Fosse would re-form in 1919, becoming Leicester City Football Club (in conjunction with Leicester being given city status). In the 1924/25 season, Leicester City tasted their first success as they were crowed the Division Two champions. The side notched 59 points with 24 wins and 11 draws in their 42 league matches. Notable victories were recorded at Filbert Street, a 7-0 dismantling of Port Vale, 6-0 thumping of Barnsley and a 6-1 demolition of Sheffield Wednesday helping secure the title by two points over runners-up Manchester United. The star of the promotion campaign was striker Arthur Chandler who scored 33 league goals. Scottish manager Peter Hodge signed Chandler from Queen's Park Rangers in 1923 and the Londoner would go on to score 259 goals for Leicester in 393 matches. Leicester's previous stay in the First Division lasted just a season but this time The Foxes put together a strong campaign and finished in 17th place in 1925/26, 3 points clear of the drop zone. 1928/1929 was the closest that class of Leicester came to winning the top title in England & Wales. The Wednesday (Sheffield) and Leicester both spent the season unbeaten at home, both winning a total of 21 matches. However, Wednesday won the title by virtue of one extra draw that saw them notch 52 points to Leicester's 51. This would be the high point for the club though heading into the 1930s. They were relegated in 1935 and despite winning promotion again in 1937, relegation would hit once more in 1939. 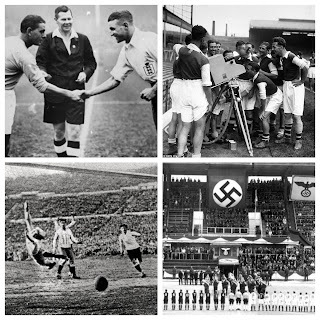 The following 1939/40 season, would be suspended three matches in as World War Two gripped Europe. Football would restart in 1946 and Leicester, in the Second Division would appear with the crest seen on the left. The crudely drawn fox is and the club's nickname is thought to be an acknowledgement of Leicestershire's ties with hunting historically. The Foxes and their... umm interesting badge, would head out in front of over 98,000 spectators at Wembley in 1949 as Leicester reached their first FA Cup final. It took three attempts to put Birmingham away in the Third Round, needing two replays after 1-1 draws. They then eliminated Preston, before a remarkable 5-5 draw with Luton in Round Five. A week later they scored another 5 to Luton's 3 to set up a tie with Brentford. 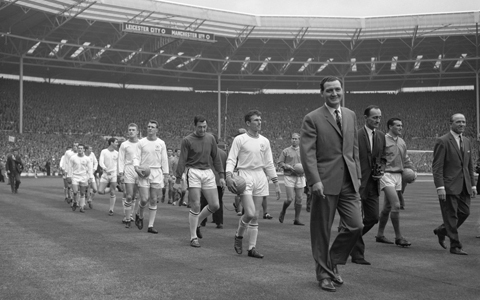 In the semi-finals, future Leeds United management great Don Revie would score twice to help sink Portsmouth 3-1 and put Second Division Leicester into the final. Wolverhampton Wanderers awaited but despite a goal from Welsh outside right Mal Griffths, Wolves would lift the Cup on the 30th April after a 3-1 victory. The 1950s saw a re-designed crest and mixed fortunes on the pitch. There was a promotion, a relegation and another promotion to add to the controversy of David Halliday's decision to sell club icon Arthur Rowley. However, manager Halliday was sacked and now established First Division Leicester would now appoint Matt Gillies as boss. The decision proved a master stroke in 1958 as Gillies would remain at Filbert Street for a decade, bringing success and a whole host of good players to the club. In 1959 legendary England goalkeeper Gordon Banks was purchased from Chesterfield, the World Cup winner going on to make 293 league appearances for Leicester. When 37-year-old Gillies took the helm, in November 1958 his first task was to keep The Foxes in the top flight. He would do so by two points and then into the 1960s turned Leicester City into a real footballing force. In 1961 Leicester would be off to Wembley once more for the FA Cup final. 100,000 fans would pack into the stadium to see if Tottenham Hotspur would win the League and Cup double or if Leicester would win their first Cup. Spurs were mighty at the time with the likes of Dave Mackay, Cliff Jones and Bobby Smith. They came up against a Leicester side boasting Richie Norman, Frank McLintock, Ken Keyworth and captain Colin Appleton. Len Chalmers broke his leg for Spurs in the first half but would solider on  as the Londoners dominated. In the second half though, dominance would show and in the 66th minute Terry Dyson would assist Bobby Smith's opener, before Smith did the same for Dyson 9 minutes later. Spurs secured the double and sunk a spirited Leicester. As runners-up they would have a shot at a European adventure, entering the Cup Winners' Cup, eventually losing to Atletico Madrid. 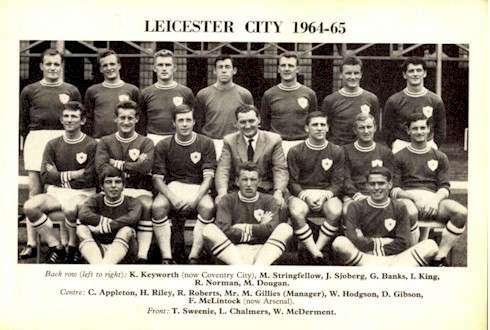 It was 1962/63 that became a famous one for Leicester City. The winter was particularly bitter, with no matches played at all in January 1963. Leicester had games postponed from Boxing Day till 9th February and when the matches started to get played, they would be on icy pitches. The team became known as The Ice Kings because from 10 November 1962 & 8 April 1963, The Foxes would remain unbeaten for 18 straight games. From 9 February and 9 March 1963 Leicester won all 7 of their ties and were on a march for the league title as well as the FA Cup. The charge was led by Ken Keyworth's & Mike Stringfellow's goals, supplied by Scot, Dave Gibson. However, what should be a happy story turns out to have a disappointing conclusion. Much like Jamie Vardy's goal streak, all good things must come to an end and injuries caught up with The Ice Kings as form slipped. On 13 April West Ham United hosted The Foxes, earning a 2-0 victory to upset the record books. Then, heading into the closing stages of the campaign it all went wrong with 2 draws and a win followed by 4 straight losses. Those losses left them in 4th place, a post-war high but frustrating all the same. Their FA Cup run led them to the final but they were left with nothing there too, Matt Busby's Denis Law and David Herd seeing them off for a 3-1 Manchester United win. Perhaps the mark of a good side is how they bounce back from adversity and in 1964 silverware was assured with a Football League Cup victory. The two legged final against Stoke City began at the Victoria Ground in Stoke which was a 1-1 draw thanks to Dave Gibson for Leicester. A week later Leicester hosted Stoke at Filbert Street and goals from Stringfellow, Gibson and Howard Riley secured the trophy with a 3-2 win. Matt Gillies had won Leicester's first English cup competition and in 1968, after a drop in form and due to ill health, the Leicester hero would step aside. 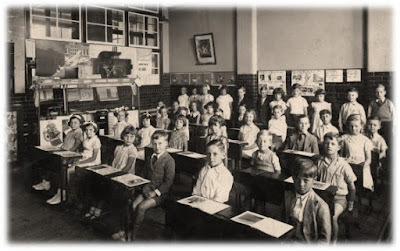 Fast-forwarding through the 1970s (due to word count! ), Leicester experienced relegation (in 1969) and promotion again as well as a FA Charity Shield Victory. Jimmy Bloomfield would be replaced by former player Frank McLintock who only lasted a season before Jock Wallace took charge. Wallace earned promotion in 1980 but couldn't maintain top flight status. Perhaps his biggest achievement will be the unearthing and growing of one... Gary Lineker. Yep for those younger readers he isn't just the Match of the Day host come crisp salesman! 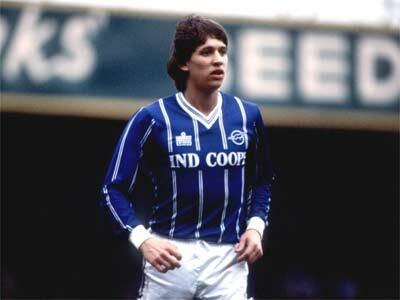 Local lad Gary Lineker joined the Leicester academy in 1976 and made his debut in the 1978/79 season. Lineker scored 3 goals in 19 league appearances during the 1980 promotion campaign. During the 1983 Second Division success (under Gordon Milne), Gary Lineker was now a key man for The Foxes; and he proved it as he topped the goalscoring charts with 26 league strikes in 40 showings. In 1983/84 Leicester were seeking to avoid relegation and 22 goals from Lineker helped secure a solid 15th placed finish. The following campaign was followed up with 24 more First Division goals and interest from other football clubs. It would be defending league champions Everton who won the race to his signature for £800,000. Lineker would enjoy a great career with Everton, Barcelona, Tottenham Hotspur and England, even spending time in Japan at the twilight of his career. For Leicester the initial post-Lineker spell was tough, failing to secure a significant replacement up top and ending in relegation 1987. In 1991 The Foxes just about avoided the drop to the third tier but then began a fight for Premier League football. During the early 1990s Leicester suffered plenty of disappointment in the play-offs, coming close until finally in 1994 Leicester beat rivals Derby County to the 'promised land' after a 2-1 play-off victory. However, manager Brian Little was snapped up by Aston Villa and his replacement Mark McGhee oversaw relegation with just 6 wins all season. McGhee was seeking a bounce back but he moved on to Wolves in December and Martin O'Neill took over. Of course, O'Neill is now well known and respected but this was his biggest opportunity in British football after a brief unsuccessful spell with fellow relegated club Norwich City. O'Neill led his boys to the play-off final that campaign and The Foxes beat Crystal Palace 2-1 thanks to a late Steve Claridge winner. Over the next few seasons Leicester ensured safety in the Premier League but also won silverware. Under O'Neill the 1997 and 2000 League Cup were secured. In 1997 Emile Heskey scored in a 1-1 draw that took the tie to a replay v Middlesborough. 10 days later Steve Claridge netted to bring celebrations to Filbert Street. Just three years later, Leicester City would win the League Cup again, this time defeating Tranmere Rovers 2-1 at Wembley, Captain Matt Elliot scoring both goals. In 2000 Martin O'Neill moved on and things would not be the same for a while at Leicester. In 2002 Leicester City moved on from that faithful home of Filbert Street. The Walkers Stadium was opened in time for the 2002/03 First Divison campaign (following relegation from the Premier League. Finances were not good and Gary Lineker swept in to save the club from turmoil. Manager Mickey Adams saw the club up again as runners-up but it had become something of a habit with Leicester, relegation followed promotion.The Championship was their home until 2008 when, for the first time in their history, Leicester were related to League One (the third tier of English football). With Nigel Pearson at the helm it was only one season before a return to the Championship was ensured, Leicester notching 96 points. In the subsequent years, Leicester were consistently fighting for the Premier League and lost in the play-off semi-finals to Cardiff in 2009/10. Pearson returned after a series of unsuccessful managers in November 2011. In 2013/14 Leicester finally returned to the Premier League with 102 points to top the Championship. Pearson ensured the team would survive, whilst causing plenty of controversy for his relationship with the media. His time would come to an end at the King Power in the summer and Italian Claudio Ranieri took over. This campaign, anyone watching the Premier League will have been totally encapsulated by what has gone on with Leicester City. The Foxes have stormed the Premier League and topped the pile on Christmas Day. 2012 signing Jamie Vardy has netted 15 league goals (as of 28 December 2015) with wideman Riyad Mahrez providing many and scoring plenty himself. As we head into 2016, will Leicester be able to win the top division in England & Wales for the first time in their history? Leicester Chronicle, 31 October 1885, p. 7. Accessed via: British Newspaper Archive http://www.britishnewspaperarchive.co.uk/viewer/bl/0000173/18851031/049/0007?_=1450794793887. Simon Inglis, Football Ground of Britain, 1996. p. 207. A phenomenal documentary produced by the club, definitely worth a watch: https://www.youtube.com/watch?v=jz5PMhoWgJY and 'Football and the First World War' found at: http://www.footballandthefirstworldwar.org/footballers-killed-first-world-war/. The rather excellent Historical Football Kit website, a database of kits and crests: http://www.historicalkits.co.uk/.